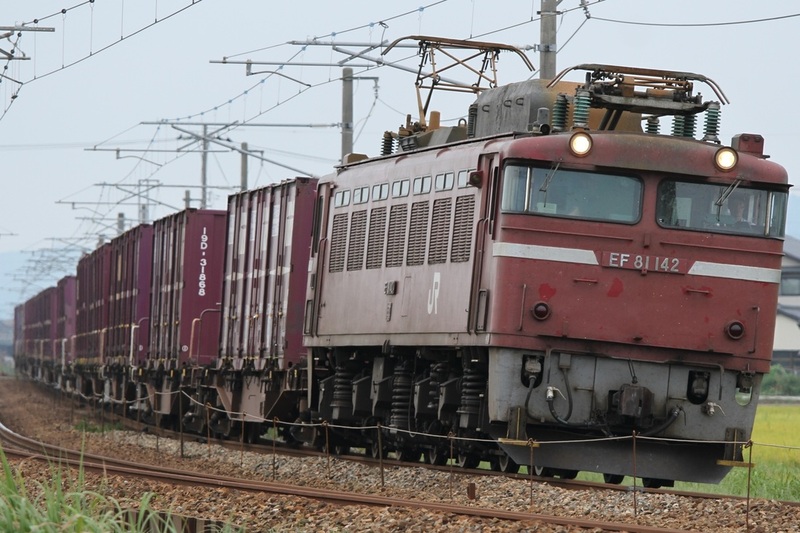 The Class EF81 is a six-axle electric locomotive developed by the Japanese National Railways to pull freight from Osaka to Aomori on the Japan Sea side. In Japan, there are three forms of electrification: 50khz 20000V AC, 60khz 20000V AC and 1500V DC. In the mid-1960s, the need for a locomotive that could operate on all three forms of electrification became clear. Despite progress in thyristor technology, a simple resistance controlled design was decided upon for the new Class EF81 locomotive. The locomotives were not originally designed for double-heading, and therefore do not have walk-through doors to connect locomotives. All locomotives were transferred to JR after the privatization of the JNR. The design proved to be reliable and continues to pull freight and passenger trains to this day. 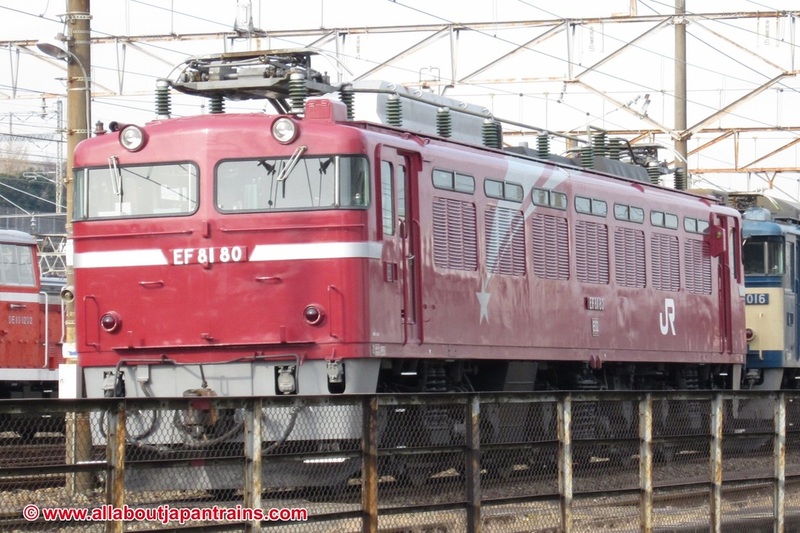 Class EF81s pulled trains such as the Hokutosei limited express, but have since been replaced by the Class EF510 in JR East passenger service. 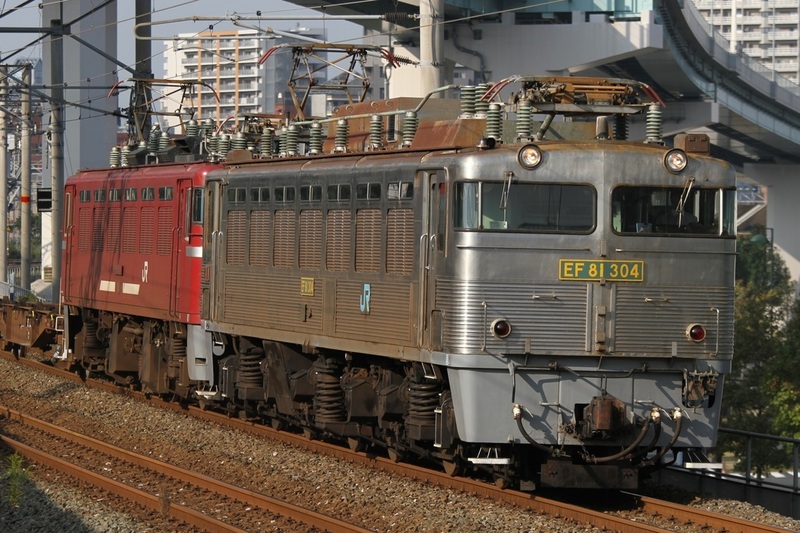 Locomotives used for the Hokutosei have a shooting star painted on the sides. Multiple variations were produced over 20 years of on and off production. The 300 Numbers have stainless steel bodies and were designed for the damp underwater Kanmon Tunnel that connects Kyushu island with Honshu. To compensate for the thinner stainless steel body, the sides are corrugated. The 400 Numbers were designed to be capable of double-heading and have multiple-unit controls. Anti-corrosion treatment has been applied to both the pantographs and the roof of these units. Another batch was produced after privatization and these are none as the 450 numbers. 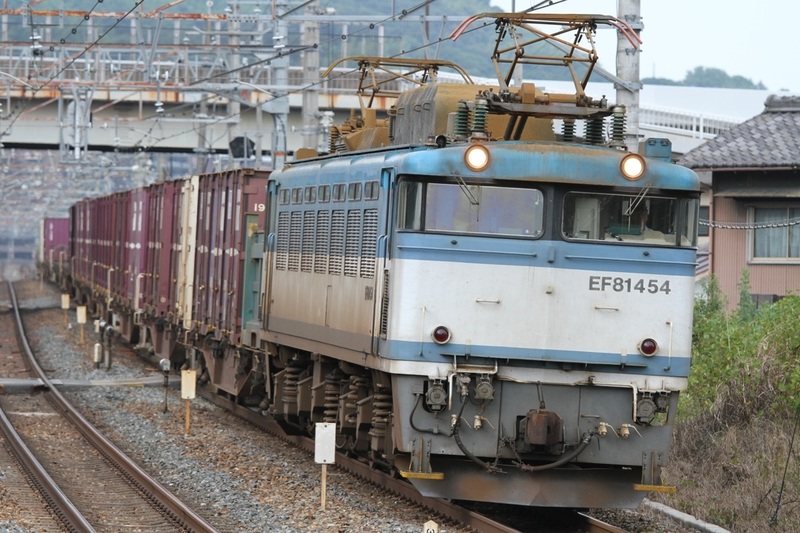 The 500 numbers are a freight-only variation built after privatization and lack the equipment to operate passenger cars.